This edited collection examines the impact of privatisation and the lessons to be learnt from it for the purpose of regulatory reform. 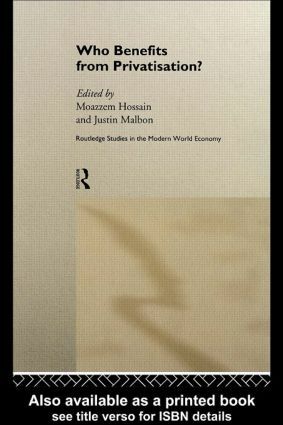 The contributors analyse the benefits and losses of privatisation in a variety of countries from economic, legal and consumer perspectives and address fundamental questions such as whether private ownership necessarily leads to better incentives for management and productivity. The book contains illustrative case studies of the Australian telecommunications industry, the deregulation of the Swedish taxi and postal industries, Californian telecommunications industries as well as discussing consumer responses to the privatisation of key utilities in the UK. The impact of privatisation in developing nations is also addressed, with particular reference to India and Malaysia.